The journal Digestive Disease states”regulation of gut motility is complex and involves neuromuscular, immune and environmental mechanisms. It is well-established that patients with celiac disease (CD) often display gut dysmotility. Studies have shown the presence of disturbed esophageal motility, altered gastric emptying, and dysmotility of the small intestine, gallbladder and colon in untreated celiac disease. Most of these motor abnormalities resolve after a strict gluten-free diet, suggesting that mechanisms related to the inflammatory condition and disease process are responsible for the motor dysfunction. In another study in the Nutrition Journal, it was reported “wheat products make a substantial contribution to the dietary intake of many people worldwide. Consuming wheat products is also responsible for several diseases such as celiac disease (CD), wheat allergy and non-celiac gluten sensitivity (NCGS). CD and irritable bowel syndrome (IBS) patients have similar gastrointestinal symptoms, which can result in CD patients being misdiagnosed as having IBS. 2) Dig Dis. 2015;33(2):200-7. Doi 10.1159/000371400. Epub 2015 Apr022. According to the Mayo Clinic staff, “irritable bowel syndrome (IBS) is a common disorder that affects the large intestine (colon). 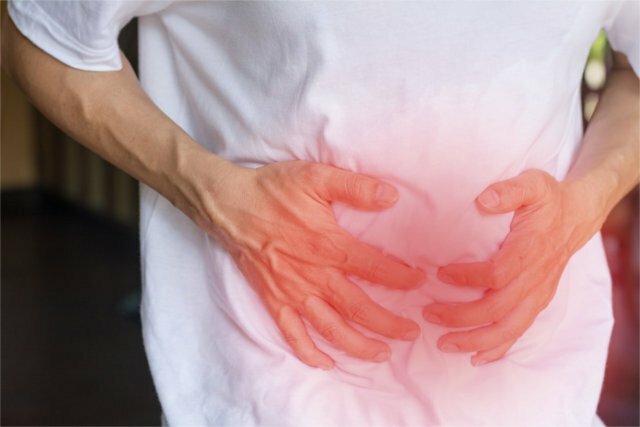 Irritable bowel syndrome commonly causes cramping, abdominal pain, bloating, gas, diarrhea and constipation.” In other words it is a condition that relates to the motility or movement of food as it is digested and processed through the large intestine or colon. What is the relationship of IBS to gluten? Patients with Celiac Disease(CD) are genetically susceptible individuals who are gluten sensitive and cannot tolerate gluten. Continued exposure to gluten ”turns on these genes” and leads to development of celiac disease. This is characterized by changes to the small intestinal lining and many other conditions, including various anemias, skin disorders, connective tissue disorders, thyroid disorders and gastrointestinal symptoms. Diagnosis of celiac disease involves evaluation and biopsy of the small intestinal lining or mucosal barrier. Recent research has identified that there are also genetically susceptible individuals who may not have the gene for developing celiac disease, but may possess other genes which may make them sensitive to gluten exposure. They have been given the designation Non-Celiac Gluten Sensitive (NCGS) and not only are sensitive to gluten, but may also exhibit similar symptoms to CD when repeatedly exposed to gluten. These individuals may exhibit a variety or spectrum of symptoms and symptom intensity. Exposure to gluten can lead to the development of Celiac Disease in genetically susceptible individuals. The symptoms of Celiac Disease can include gastrointestinal motility issues which have previously been considered separately in the diagnosis of Irritable Bowel Syndrome. Exposure to gluten in individuals genetically predisposed to Non-Celiac Gluten Sensitivity can result in similar motility issues. While IBS and CD have previously been considered to be completely separate entities, the symptoms can be indistinguishable. Since Non-Celiac Gluten Sensitivity can manifest in some of the same gut motility symptoms as celiac disease, the lines distinguishing these three conditions can become blurred when considering irritable bowel syndrome symptoms. 1) Individuals experiencing the symptoms of Irritable Bowel Syndrome may or may not have been diagnosed with IBS. These individuals may, in fact, be gluten sensitive and may be characterized as Non-Celiac Gluten Sensitive or they may have Celiac Disease. 2) Individuals with symptoms of IBS should be genetically tested to determine if they are genetically predisposed to developing Celiac Disease or Non-Celiac Gluten Sensitivity . 3) While not all IBS symptoms are caused by gluten exposure, many individuals with CD or and NCGS have experienced resolution of their gastrointestinal motility issues by following a strict gluten-free diet. Accordingly a strict gluten-free diet should be considered as part of the treatment protocol for gut motility and IBS symptoms. 4) Dr. Peter Osborne’s book, No grain No pain, and the gluten free society.org website are excellent references for a true gluten-free diet protocol. 5) Both gluten exposure and gut motility issues such as diarrhea can disrupt the delicate balance of vitamins and minerals within the body and can further fuel IBS symptoms. Appropriate assessment of these micronutrients as well as seeking and identifying the cause of bowel motility issues are part of the protocols used by functional medicine practitioners.